WeeChong has practised law for 20 years and specialises in commercial and civil litigation. Originally from Singapore, WeeChong graduated from Victoria University of Wellington, New Zealand in December 1992. Thereafter, he practised law in Singapore in the commercial field for 12 years. In 2007, WeeChong migrated to Perth with his family and was admitted as a Barrister and Solicitor of the Supreme Court of Western Australia in 2008. After admission, WeeChong continued to practice as a litigation lawyer in Perth and has represented clients in the Magistrates Court, District Court and Supreme Court of Western Australia. He joined Robertson Hayles Lawyers in April 2015. Having conducted many complex court cases over the past 20 years, WeeChong’s strength lies in his ability to strategise his client’s case through the litigation process to achieve the best possible outcome. 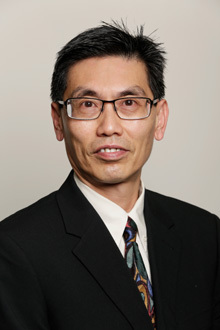 Whether the matter in dispute is small or large, WeeChong believes that providing the best quality of work possible for his client in a cost effective manner must be the benchmark of his legal practice. For all enquiries, please contact WeeChong on (08) 9325 1700 or email him at wctay@robertsonhayles.com.